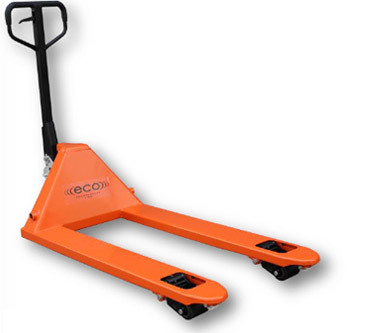 ECO "ERT" Roll Truck - MOBILE INDUSTRIES INC. :: Material Handling Tranport, Lift and Warehouse Equipment. 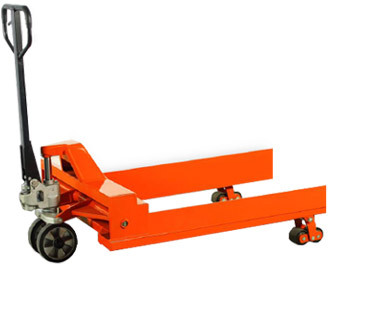 The ECO ERT Roll Truck is designed to cradle paper, plastic, and rolls of various shapes and sizes. 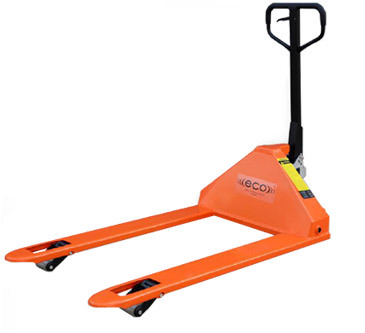 It offers the same durability as the ECO I-55, but its inverted “V” fork design lifts and transports the rolls while protecting them from damage. 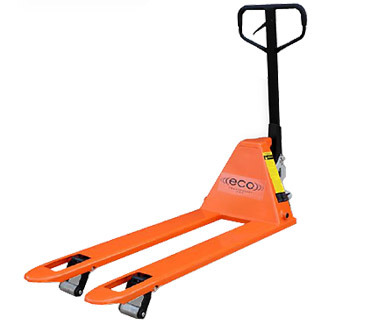 Like the standard ECO I-55, the ERT is designed to handle rolls of various shapes and sizes, offers 200 degree handle pivot for exceptional manoeuvrability in compact areas; comes with standard polyurethane wheels and rollers for rolling ease; features a powder coat finish; robotic welds throughout; and grease fittings at all pivot points for easy maintenance. 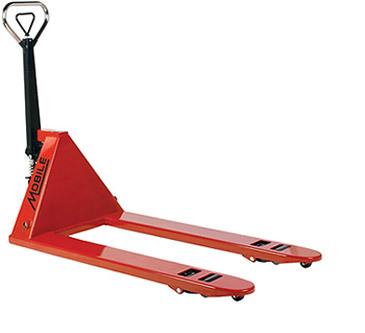 • Inverted “V” shaped forks for handling rolls, reels, drums, etc.